Terri Mack – Kay Kwee Kway Kwa – is a member of the Da’naxda’xw Awaetlala Nation from the Knight Inlet area of BC’s central coast. She and husband Ken have been running a small business from the basement of their Nanaimo home for years. They started Strong Nations in 2010 as an on-line presence and in 2012 started the publishing house with the launch of the first set of the Strong Readers series. Since then they added the Strong Learners series to the product line, along with educational games and the Strong Learning Environments products that reflect Indigenous peoples in the classroom. 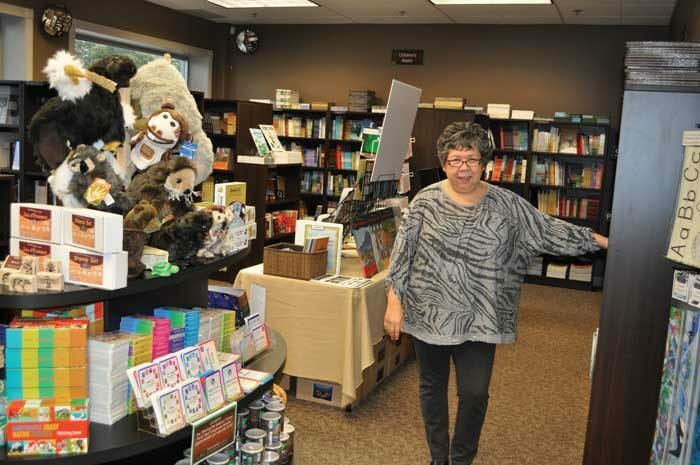 In 2014, Strong Nations made the move to a bricks-and-mortar store on Bowen Road in Nanaimo. She has worked within the Aboriginal education field for 20 years – 17 with the Nanaimo-Ladysmith school district and three with Stz’uminus First Nation as its community literacy coordinator. Most of those years have been dedicated to literacy initiatives in BC, working with universities and school districts.